Anyone who has been in the wilderness knows how advantageous it is to know how to survive. Well, this only means that you need to know how to gather some woods, how to make some fire, and how to protect yourself against wild animals. Thus, you need to know the content of your survival kit, and make sure it also contains your backpacking axe. It is even much better if you know how to chop some wood using the best backpacking axe. Axes are very useful and efficient in the wild. You can use such tool for cutting wood, hunting, making the preparation faster, etc. In fact, it has been said that the ancient people who utilized axes were better in hunting than those in the modern times. 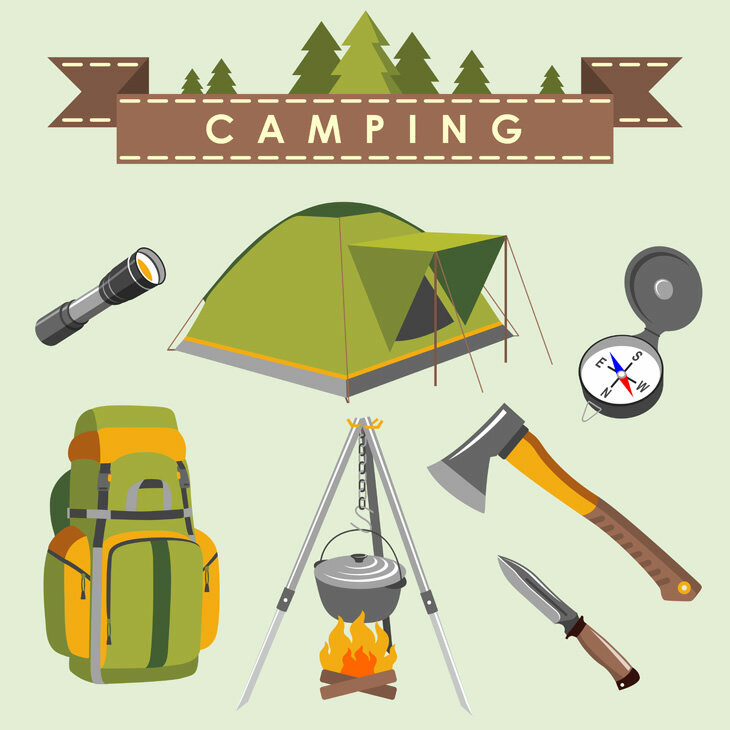 Hence, when you are a hiker, trekker, camper, or a survivalist, it is essential that you bring a backpacking axe for your wilderness survival. 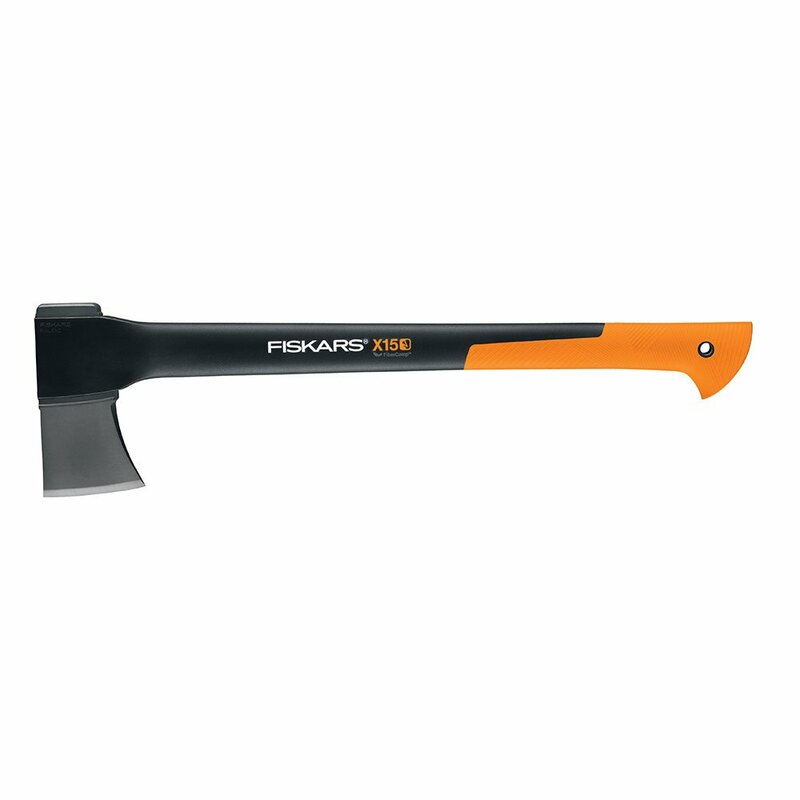 The Fiskars Chopping Axe is perfect for felling trees. But, why is that so? It is because it chops and cuts deeper with every swing. Thus, your chopping work gets down so quickly. Plus, its parts are also perfectly balanced. It boasts its power-to-weight ratio, which heightens the swing speed and multiplies power. It also has a Shock-absorbing FiberComp handle. 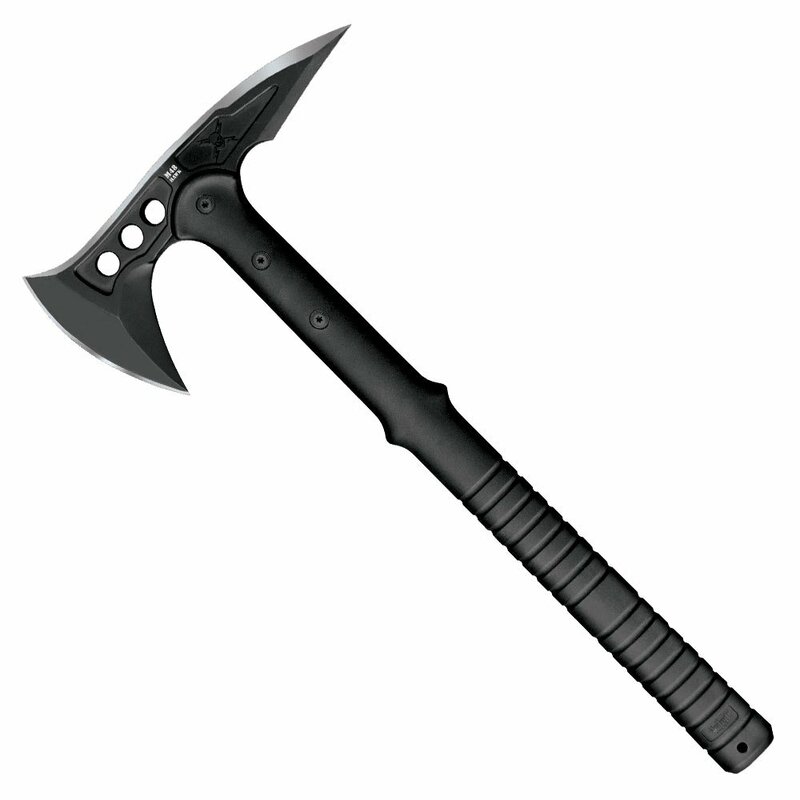 Additionally, the axe is super lightweight, yet it is very durable. The handles are stronger than steel that don’t easily damage during overstrike. 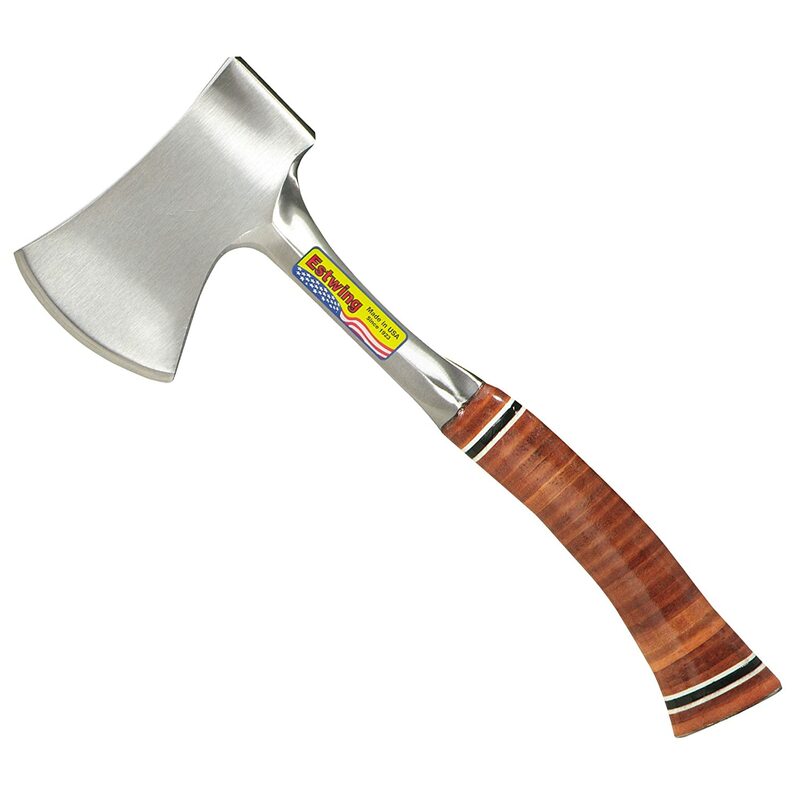 Estwing E24A 14-Inch Sportsman’s Axe is from the United States of America. Its head and handle fuse into one piece. Plus, its material is mainly of American steel. It has a very sharp edge for chopping and cutting. Additionally, it has a stunningly made leather grip and durable nylon sheath. It is a versatile tool for utility applications. 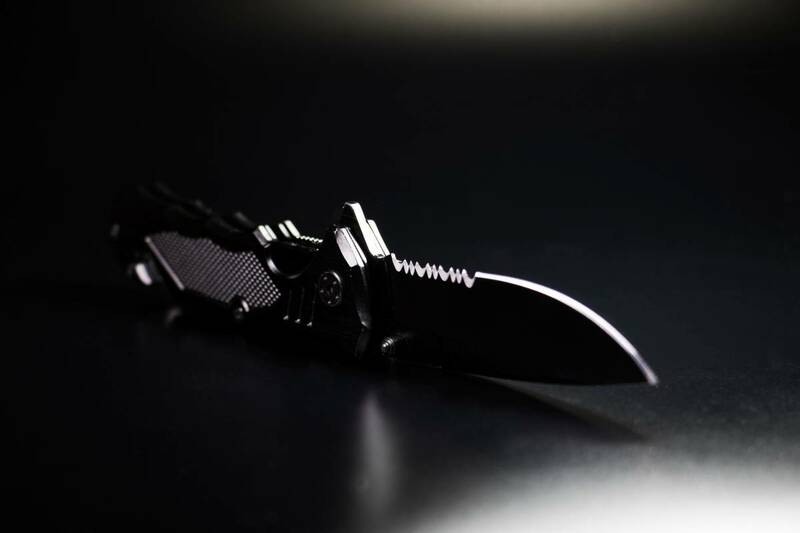 The SOG Specialty has a glass-made nylon handle. Moreover, it has a stainless steel axe blade. It has a durable ballistic polymer handle. Then, this axe has a nylon sheath. Last but not the least, this backpacking axe has a length of 15.75 inches and a weight of 24 ounces. It is a great option for camping, hiking, and trekking. 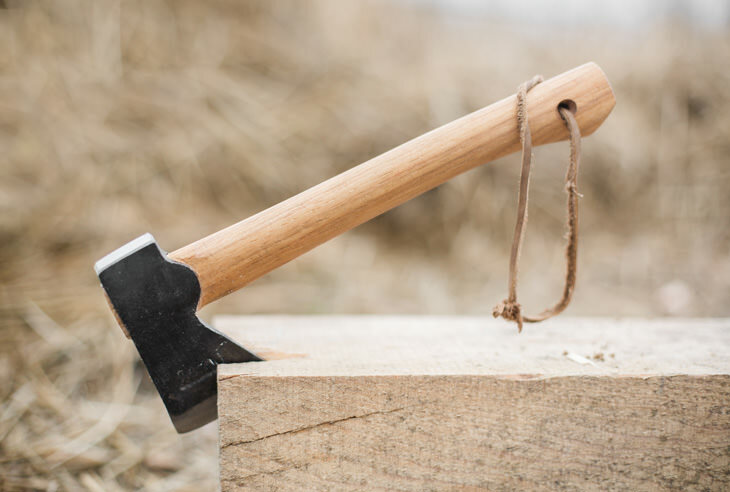 Husqvarna Carpenter’s Axe has a reminiscent form of a smaller version of Hudson Bay axe. It is best for wood and carpentry works. The axe has a straight cutting tip, which is ideal for carving. Also, its head has been hand-crafted in Swedish steel. It can function in a way that your hand becomes near to the cutting edge with ultimate control. Plus, it also comes with a leather sheath. Its weight is just 2. 2 pounds or 1 kilogram. 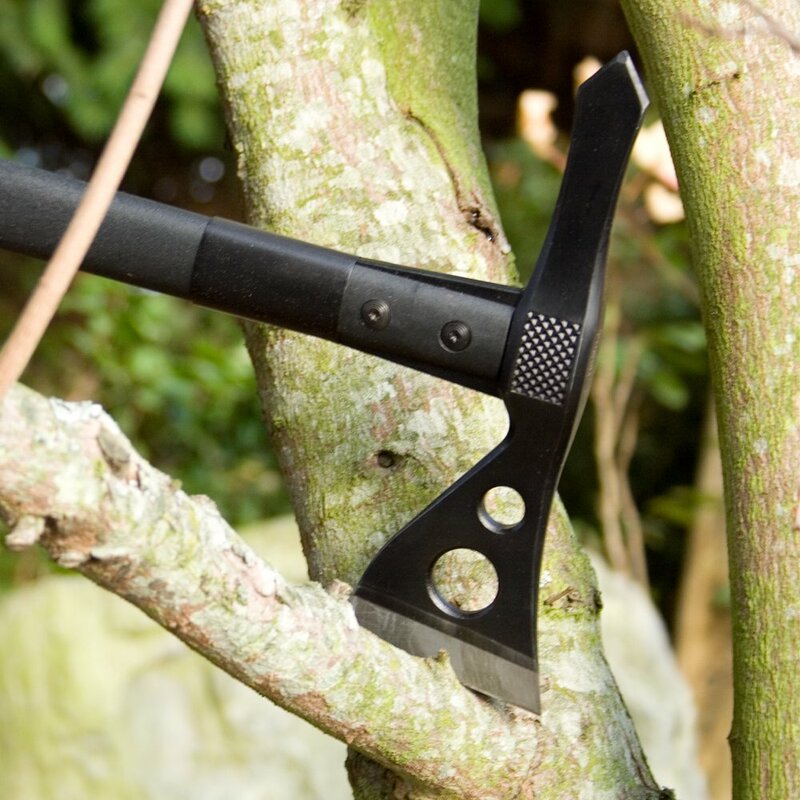 United Cutlery’s Hawk Axe has a nylon sheath hatchet. Its overall length is 15 inches with 8 inches of blade. Its blade has an anodized AUS stainless steel. Plus, its handle has 30 percent fiberglass supported by nylon. Additionally, it has a snap-button closed nylon belt covering. Why Do You Need To Get a Backpacking Axe? The Fiskars Chopping Axe is perfect for felling trees. But, why is that so? It is because it chops and cuts deeper with every swing. Thus, your chopping work gets down so quickly. Plus, its parts are also perfectly balanced. It boasts its power-to-weight ratio, which heightens the swing speed and multiplies power. It also has a Shock-absorbing FiberComp handle. Additionally, the axe is super lightweight, yet it is very durable. The handles are stronger than steel that don’t easily damage during overstrike. The Fiskars Chopping Axe is perfect for felling trees. But, why is that so? It is because it chops and cuts deeper with every swing. Thus, your chopping work gets down so quickly.Plus, its parts are also perfectly balanced. It boasts its power-to-weight ratio, which heightens the swing speed and multiplies power.It also has a Shock-absorbing FiberComp handle. Additionally, the axe is super lightweight, yet it is very durable. The handles are stronger than steel that don’t easily damage during overstrike. Estwing E24A 14-Inch Sportsman’s Axe is from the United States of America. Its head and handle fuse into one piece. Plus, its material is mainly of American steel. It has a very sharp edge for chopping and cutting. Additionally, it has a stunningly made leather grip and durable nylon sheath. Estwing E24A 14-Inch Sportsman’s Axe is from the United States of America. Its head and handle fuse into one piece. Plus, its material is mainly of American steel. It has a very sharp edge for chopping and cutting.Additionally, it has a stunningly made leather grip and durable nylon sheath. It is a versatile tool for utility applications. The SOG Specialty has a glass-made nylon handle. Moreover, it has a stainless steel axe blade. It has a durable ballistic polymer handle. Then, this axe has a nylon sheath. Last but not the least, this backpacking axe has a length of 15.75 inches and a weight of 24 ounces. It is a great option for camping, hiking, and trekking. It does not have a full tang. Husqvarna Carpenter’s Axe has a reminiscent form of a smaller version of Hudson Bay axe. It is best for wood and carpentry works. The axe has a straight cutting tip, which is ideal for carving. Also, its head has been hand-crafted in Swedish steel. It can function in a way that your hand becomes near to the cutting edge with ultimate control. Plus, it also comes with a leather sheath. Its weight is just 2. 2 pounds or 1 kilogram. 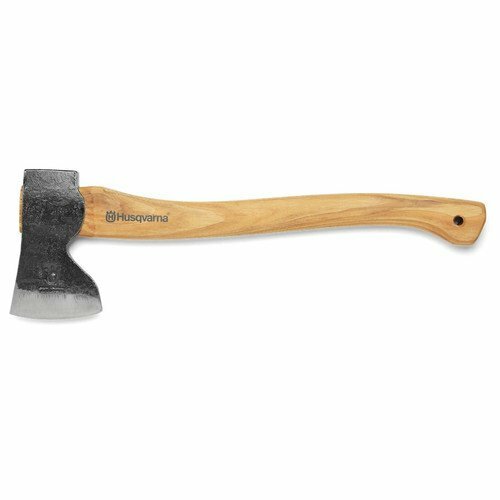 Husqvarna Carpenter’s Axe has a reminiscent form of a smaller version of Hudson Bay axe.It is best for wood and carpentry works. 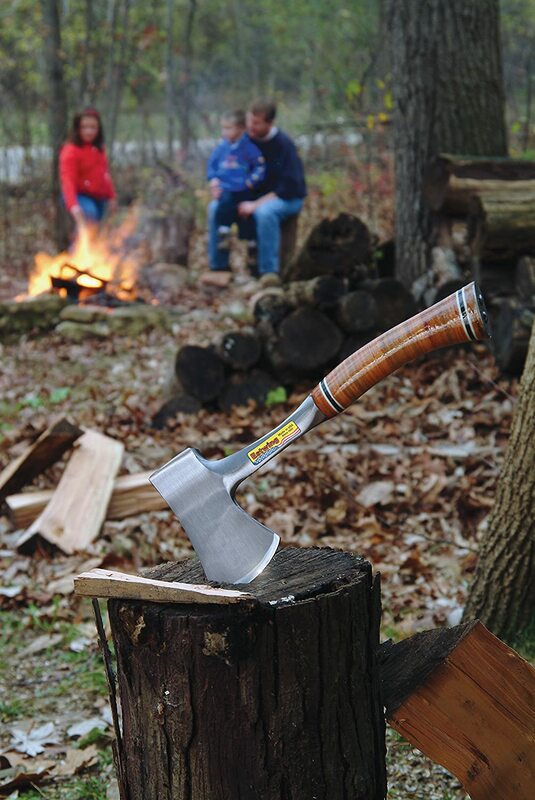 The axe has a straight cutting tip, which is ideal for carving.Also, its head has been hand-crafted in Swedish steel. It can function in a way that your hand becomes near to the cutting edge with ultimate control. Plus, it also comes with a leather sheath. Its weight is just 2. 2 pounds or 1 kilogram. The only downside of this backpacking axe is that its rivets in the leather sheath put a thump on the edge of its bit. 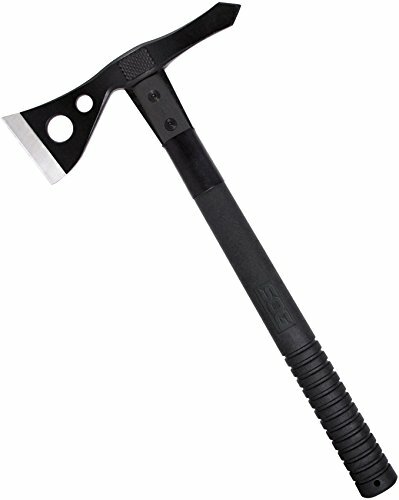 United Cutlery’s Hawk Axe has a nylon sheath hatchet. Its overall length is 15 inches with 8 inches of blade. Its blade has an anodized AUS stainless steel. Plus, its handle has 30 percent fiberglass supported by nylon. Additionally, it has a snap-button closed nylon belt covering. 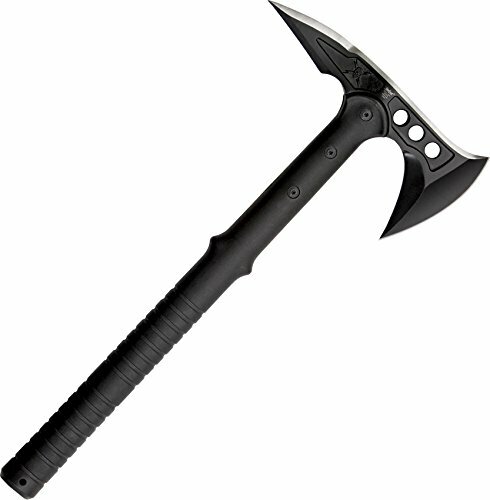 United Cutlery’s Hawk Axe has a nylon sheath hatchet. Its overall length is 15 inches with 8 inches of blade. 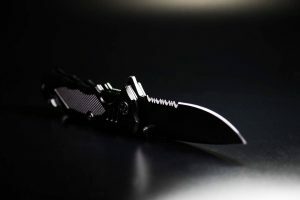 Its blade has an anodized AUS stainless steel.Plus, its handle has 30 percent fiberglass supported by nylon.Additionally, it has a snap-button closed nylon belt covering. A backpacking axe has a longer handle compared to a standard hatchet. Thus, it is more efficient when it comes to chopping wood. If you are an active camper, and you are up for campfires, it is always fundamental to have a backpacking axe. You see, there are a lot of things that you can do with the use of an axe. One example is the handle of your backpacking axe that is designed to directly apply force to something you want to hit like wood. An axe will help you during emergency situations, especially when you need to chop some woods into pieces for your trip into the wild. So, whatever situation you find yourself in, you will most likely conclude that a backpacking axe will be a valuable tool in your inventory. The top difference between a backpacking axe and a tree chopper is their sizes. A backpacking axe is usually 12 to 24 inches long. Shorter axes are more convenient to carry. But, you should be cautious in putting the axe in your bag because the blade may inflict harm. An axe with a longer handle can also lessen the effort of your swing. However, it is less handled when you store it in your backpack. Your backpacking axe has two main parts: the handle and the head. For a well-built axe, it should be reliable enough and should be robust enough to chop something hard. Also, both of these parts should also connect firmly. For a newer version of a traditional axe, you may choose a one-piece shaft. The difference of this axe from the conventional ones is that its head and handle fuse into one piece of steel. Thus, it makes this axe lighter than the shaft with the usual head and handle. Plus, they do not easily break. You can measure the length of the handle of an axe from the top tip going down to the knob. They come in average lengths, either boy’s shaft or full-sized. 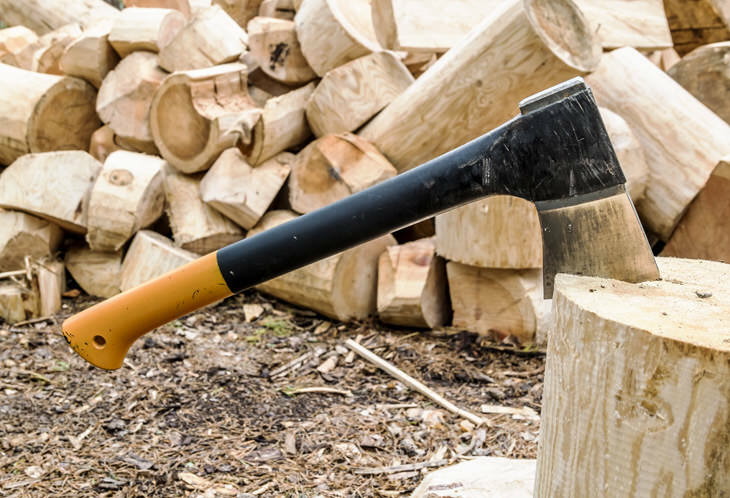 The typical dimension of a felling axe’s handle is 3 inches. However, this may be too long for some men. So instead of using the standard axe, you may opt for a shorter handle with 31 inches length. It will give you control and force you will need to manipulate an axe. Most of the handles of the axes you’ll find on the market today are either plastic or steel. However, experts suggest that you find a handle made of wood, mainly ash or hickory. After you have made sure that the axe has an ash or a hickory handle, you need to check the grain direction of the wood. Also, you must assess its growth ring. Ideally, the grain of the handle should be corresponding to the bit of the backpacking axe. Some grains that are vertical to the bit may be less durable and are weaker. An axe with a single bit can cut faster than a double bit axe because of the additional weight that comes with its pills. However, a double bit axe boasts its versatility and balanced swing. It creates balance as both edges of the head are of equal weight and length. As a result, as you swing a double bit axe, there is less movement of the shaft. It means more actual ability, which in turn, leads to a more efficient cutting capacity. And when it comes to backpacking axe, control is better than power. Before you start cutting and chopping all of the woods around you, you need to know that a backpacking axe can do various things. When you want to make a campfire, you have to gather some dry wood. Then, you have to position the branch on the ground laterally. Use both of your hands in holding your backpacking axe properly. After doing so, get the axe over your shoulder. Then, start sliding the top hand near your axe’s head. Next, start sliding back your top hand down to the handle’s base. After, you can place the shaft down. The kind of motion you are doing allows you to balance the shaft and hit the wood with accuracy. The list provided above helps you recognize some of the highest quality of axes available on the market today. To give you the choice to decide for yourself, you must also base your purchase on how much money you are willing to spend for an axe. Also, try to determine how often you are going to use the backpacking axe. Moreover, it is always good to know if you are going to use the axe regularly, or just once in a while. For cutting and chopping purposes, especially during camping, trekking, and hiking, Fiskars X15 Chopping Axe is our top pick. Not only that it is very easy and convenient to use, but also it is very durable. Plus, the axe is very lightweight, which is great to store in your backpack. And overall, this axe is a great addition to your survival kit, especially for your wilderness adventures.